One of the best changes in online dating in the last 10+ years has been the move away from 'one size fits all' sites, to the creation of a myriad of sites focused on particular groups of people (including sites for specific ethnicities). If you know ahead of time that you are ONLY interested in dating someone with a specific ethnic background, does it really make sense to join a large generic site? While the term 'Asian Dating' is somewhat generic in and of itself, we have categorized the sites here based on their focus on singles from locations throughout Asia. When we find enough sites focused on a specific area, we split those sites out into their own area. Asian Online Personals - Find New Love! 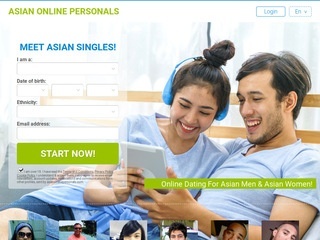 Asian Online Personals is for single Asian men & women, and those that want to love them. Join for free and browse through profiles of people just like you...or maybe even a little cuter. Niche dating has exploded online, providing sites that are exclusively focused on one particular group of people (and the people who are interested in that group). If you are interested in the Asian community, Asian Dating Connexion is the site for you. It only takes minutes to create a free account, and then you are free to check out the singles who have also been drawn to this site. You can't meet someone just by looking at the homepage, so join...and start having fun! DatingBuzz Singapore has thousands of exciting new member profiles waiting for you to explore. Enjoy free searching and two-way matching. Sign up now for free. "FREE for women." Over 100,000 members from over 150 countries. Enjoy private chat with other members online. Entire site is available in French or English. Asia's Gay + Lesbian Network. Fridae is 100% dedicated to Gay & Lesbian Asians and their friends. No need to wade through tons of straight profiles. Large personals system with a variety of unique features. 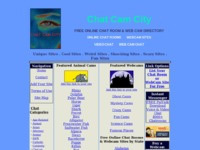 Comprehensive chat & webcam directory, including free Asian Chat. Love Origin - Where Friends Hub! "Asia's inspiring Online Dating, Friend Finder, Social Networking, Lifestyle Community Portal. Find Great Asian & International Friends from Asia, US, Europe and Match, Interact, Share your Interests & Lifestyles." Indonesian Cupid.com is an Indonesian dating and marriage site that assists Indonesian ladies to find marriage and long-term relationships with gentlemen from around the world. Social networking site for Vietnamese people. Default language setting wthin the site is Vietnamese. If you are looking for a fun online community site where you can meet other Vietnamese people, this site appears to be the one to beat. Find other International Personals sites here.